Telephone Magic has been a leading wholesale supplier of phone headsets for Nortel Meridian Norstar phone systems since 1989. 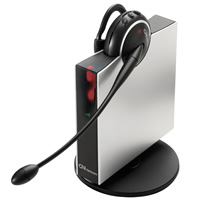 We offer the ENTIRE LINE of Plantronics corded Polaris Direct Connect headsets for Norstar and Meridian system phones along with Norstar compatible wireless headsets. Buy your Norstar headsets here at wholesale prices! Nortel Norstar and some of the the Meridian business phones have internal amplification and Plantronics Polaris headsets are designed to connect directly to the headset port of these phones. This means you don't have to buy an external amplifier like you do with most other business system telephones. To find out what you can and CANNOT do with a wireless headset, check out our Wireless Headset FAQ. Save money on our Norstar headsets - no external amplifier is required!